Become a safe, effective, professional teacher in an environment that encourages free expression, self-discovery, and fun. Do you want to become a certified yoga teacher or expand your yoga practice? Are you looking for a yoga school in your area? Camp Utopia North is certifying yoga teachers near YOU! 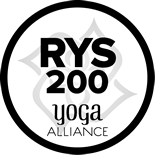 I am a proud yoga teacher with Camp Utopia North—a traveling yoga teacher training school, registered through the Yoga Alliance. I come to you and your yoga studio with all the tools and materials you need to build a team of powerful, confident, professional and certified yoga instructors. 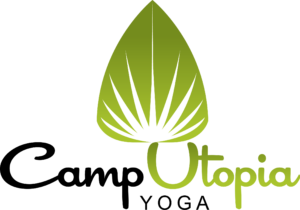 Camp Utopia North is based in Colorado & serves North Dakota, South Dakota, Montana & Wyoming. Our 200-hour program includes 5 weekends of intense study of yoga postures and the professional skills you need to teach successful, safe, powerful classes; 2 weekends of intense study of anatomy; and 60 hours of optional workshops, weekends, conference calls, and retreats to complete the course. All supplies are provided. The best yoga teachers touch us because they speak from experience and authenticity. At Camp Utopia, we provide a comfortable space for each trainee to explore the profound shifts that can take place in the focused practice and study of yoga, making the learning experience a living experience. From our first weekend of grounding and connecting, we unfold the teachings of yoga, the skills for teaching, and the opportunity for self-discovery in the way that yoga unfolds – pada-pada, step-by-step. Each new teacher then speaks and teaches from the authentic place they’ve opened in the process, with the confidence of real knowledge. Register by October 15 & save $450! Reserve your spot with a $900 deposit! Register by February 8 & save $450! **We will all attend the ND Yoga Conference in Bismarck and graduate Saturday night. With a mix of mandatory courses geared to the professional teacher, and optional courses to broaden and deepen your knowledge, the program simply works. It is practical, useful, contemporary information to set you on your path as a “good yogi” AND a solid, confident, professional yoga teacher with skills and tools to make it in the booming yoga market. Mastering technique means LOTS of yoga practice, posture labs and more. Each weekend, we learn and practice yoga techniques in a logical unfolding of information. This allows the evolving teacher to integrate each technique into their practice and personal experience, without being overwhelmed with information. Methodology means learning to teach. As a teacher, your students will have many ways to learn and understand. You’ll need good communication skills and the ability to address specific individual needs within the group. We give you the freedom to teach and explore various types of yoga to find your most authentic teaching style. Camp Utopia requires graduates to deeply understand how the body works. At Camp U, you will learn the theory of The Yoga You Need, a teaching philosophy that incorporates the safest, most useful yoga postures with adapted postures and techniques from other movement disciplines, like Pilates, weight training, core strengthening, and dance. The Yoga You Need also utilizes isometrics, active, passive and dynamic stretching to heal, protect, and shore up any student’s body, at any level. The yoga lifestyle and philosophy is about ethics. All Camp Utopia trainees will study the 8 Limbs of Yoga and understand how to apply the practices to their own lives, and create their teaching practice with integrity at the heart. We will review and discuss yoga ethics in every weekend of training, as it applies to practice, teaching, business, and life. I come to your yoga studio and together we complete 200 hours of training in 7 weekends. The studio owner & I will pick the weekend dates. Throughout the 7 weekends, plus 15 online conference calls and online quizzes, you will easily complete your 200 training hours. 2 weekends of anatomy; you’ll earn 40 hours toward your certification and leave with more knowledge about how the body really works, and what’s important for yoga, then you ever imagined. 5 weekends of teaching skills include deep study of the fundamental poses and practices of yoga, and the essential tools of teaching: good verbal cues, good posture knowledge, sequencing knowledge, pace, timing, delivery, and practice, practice, practice. You’ll start teaching postures, then short sequences, then short classes then a full class and then another. In workshop weekends, all trainees are welcome to offer course material to the schedule, allowing you to teach “more than a mat class” as early in your career as you’d like. Workshop weekends: Throughout the training season, we offer workshops, regular phone calls, and online programs to help you complete your remaining 60 hours in the way that best fits your life and your teaching dream. A mix of senior teachers, guest teachers, and teachers working on advanced certification will offer classes and workshops on all aspects of yoga. You can offer classes and workshops if you like. There are some mandatory requirements, and a lot of freedom to choose how you want to complete the hours. Most weekends have a lunch break on Saturday, and the rest of the time we break frequently for 10 minutes to stretch, grab a snack, refresh, and return. This maximizes our time together. Classes with ** will start at 10:30AM on Friday’s. Posture Lab: 10 poses, understanding, advancing/modifying, verbal cuing and adjusting. Teaching Methods and Practice. Before working with Allison, I was worried that I couldn’t do yoga teacher training because I’m not outgoing enough, I didn’t know enough about yoga or because I don’t know how to speak Sanskrit. After completing Camp Utopia’s 200-hour teacher training program with Allison I now understand the different aspects of teaching- yoga is not necessarily about looking like someone on Instagram but learning about my body and finding my perfect posture. Allison is super positive, open, accepting and nice. I’m now more optimistic and open to opportunities with becoming a yoga teacher. I always assumed that yoga was only for women or overly flexible people. After overcoming my own back pain through yoga, I decided that I wanted to help everyone understand the benefits of yoga. Allison really drilled in that individuals feed off your attitude. By having a positive attitude, you can have positive results. I now understand and can teach people that yoga is for everyone willing to make a positive, healthy change in their life. The biggest challenge I faced (and still face) is using my strength instead of sinking into my flexibility in poses. Allison and Camp Utopia Yoga helped me become more self-aware of when I’m cheating and overusing my flexibility. I now have a much safer practice after completing my teacher training. I’m also a lot more confident in my ability to teach, which hasn’t come naturally for me. Allison is one of the most competent teachers I’ve ever met. She provides constructive criticism in a positive way, so instead of breaking you down, she builds you up. I was honestly scared of teaching. I thought I would like small group or privates but I hated the idea of large classes. Throughout Camp Utopia’s yoga teacher training, I’ve done a complete 180. I still like the idea of a smaller group, but I have no problem teaching a large class. Working with Allison really opened my mind to other opportunities. I feel comfortable subbing a class last minute or jumping in and taking on a group of 30 people. I’ve become so much more confident after working with Allison. She is always willing to lend an ear or a helping hand. Her positivity is infectious and she’s so nice to be around when you are feeling out of your comfort zone. Allison will always be there to encourage you to be better. Her positive attitude and energy are addictive and you will walk out of this training a changed person. I was very excited to take Camp Utopia’s yoga teacher training with Allison. As a personal training and experienced fitness teacher, I had been wanting to teach yoga for a while but did not have the knowledge of the poses or other components such as the history of yoga or the chakra system to give my clients a safe and enriching experience. This course had a great balance of physical yoga practice as well as teaching you the history of yoga and how to use it as a lifestyle. I loved the focus that Allison and Camp Utopia had on teaching to 90% of the population. It sets you up for success as a teacher while giving you a good foundation and room to explore other yoga avenues. I’ve noticed my teaching is more authentic- I’ve gained more confidence in my teaching practice and feel more comfortable creating and delivering sequences. Allison gives you the tools and then the space to create your class & practice. I’ve had so much fun learning from and working with Allison. She is positive and high energy with a wealth of knowledge. Her passion for yoga and teaching is contagious and inspiring! I’ve been teaching yoga for over 10 years. Before Camp Utopia’s yoga teacher training, I was bored with my same-old sequences and I wasn’t feeling as inspired as I used to. I was beginning to question my competence as a teacher. After working with Allison & Camp Utopia I have a renewed energy and belief that I can be an effective guide to helping people improve their lives. I am refueled and excited to share again! Allison is so patient and open minded with an infectious energy and positive can-do attitude! My confidence waivered when yoga teacher training was about to start. I was worried about my body image not being the typical “yoga cover” type. As soon as I started working with Camp Utopia I felt very accepted, comfortable and 100% capable. Allison provided a personal level of support and encouragement that just dissolved my fears. Allison has a great background in teaching, nutrition and personal coaching that it gives people a higher quality of training. She is a beautiful ball of happy & growing energy.